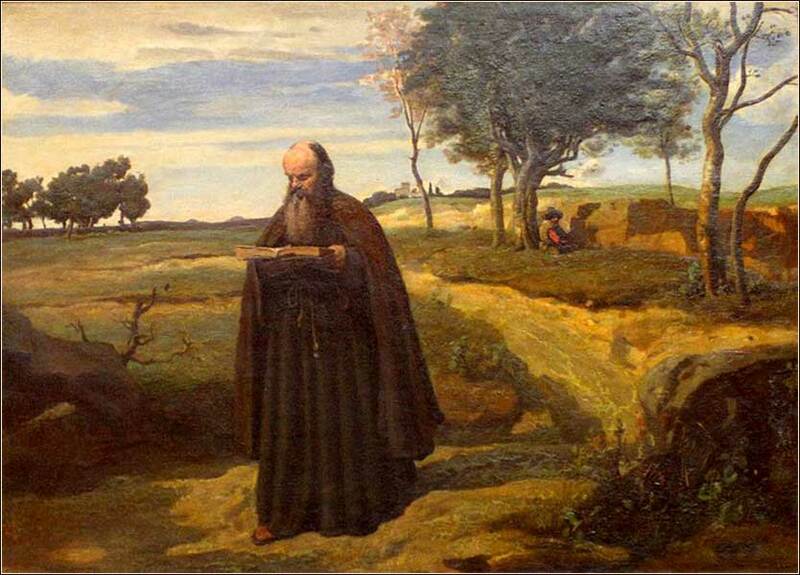 A Walking Monk by Camille Corot, ca. 1840. This beautiful setting of today’s Scripture is written and performed by Stuart Townsend. This famous psalm is most often said at funerals. Yet, it is a message for the living. You have nothing to fear from evil. When you have chosen to live in God's house, God Himself will take you under his ultimate protection. Christians (including Christ) certainly suffer the evils of the world: poverty and bankrutcy, violence, loss of loved ones, disease, and death. But we know that, no matter how painful a moment may be, it will end soon enough; there is heaven ahead of us. 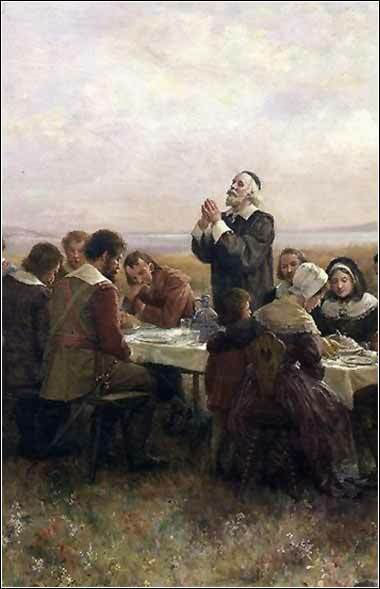 God prepares a table before us in the very presence of our enemies; even at the moment someone does something terrible to us, God is preparing great happiness for us. While still on earth, though, we can eat ourselves alive with worry. I remember some time ago, while 59-year-old Greg Norman was — unbelievably — leading after the third round of the British Open, a tournament that he was only grudgingly allowed to play in because of his age. When asked how he could do so well, a commentator gave one of the reasons: "Greg accepts his shots." The course was very harsh, with high winds and knee-high grass in the rough, but Norman would never worry about the shot he had just made, no matter how badly it had gone. He would concentrate on the task before him, making his next shot. He was able to outplay the world's greatest golfers in the prime of their athletic vigor, because he did not spend energy bemoaning what had befallen him, or worrying about other players and holes to come. The Bible tells us, again and again, that "the evil of the day is sufficient unto itself". We must take David's psalm deep into our heart. God is going to take care of us. Our cups overflow with wonderful things, if we can just see what we do have instead of what we don't have. We must set anxiety about the future, and bitterness about the past, aside; our job is to meet the challenges of the day, in full knowledge and utter confidence that God's reward will come.